Snow-covered meadows, snowy forests and a sunny ski area in the immediate vicinity – that’s what awaits you during your ski holiday with kids in South Tyrol, at the farm Mesnerhof. 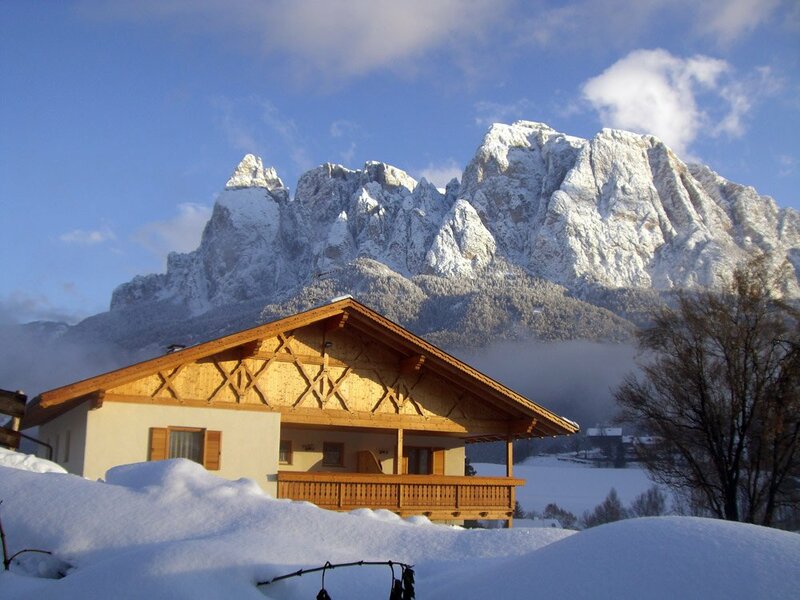 The farm with its comfortably furnished apartments is located just three kilometres from the valley station of the cable car, which takes you right into the family-friendly ski resort on the Alpe di Siusi. 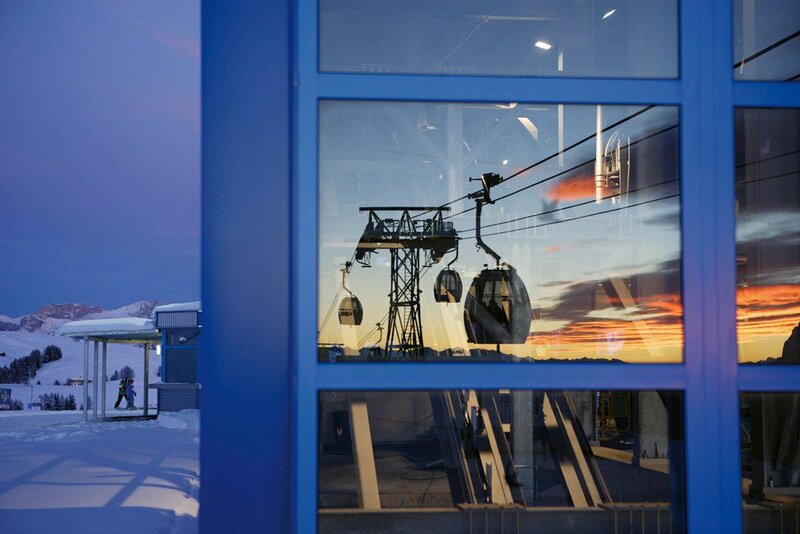 150 sunny kilometres of slopes for all levels will make your stay in the South Tyrolean ski area varied and entertaining. At the “Kinderland”, there are a ski school and an easy practice slope, where beginners may learn how to ski in a safe and fun way. A “magic carpet” at the edge of the slope guarantees a comfortable ascent. 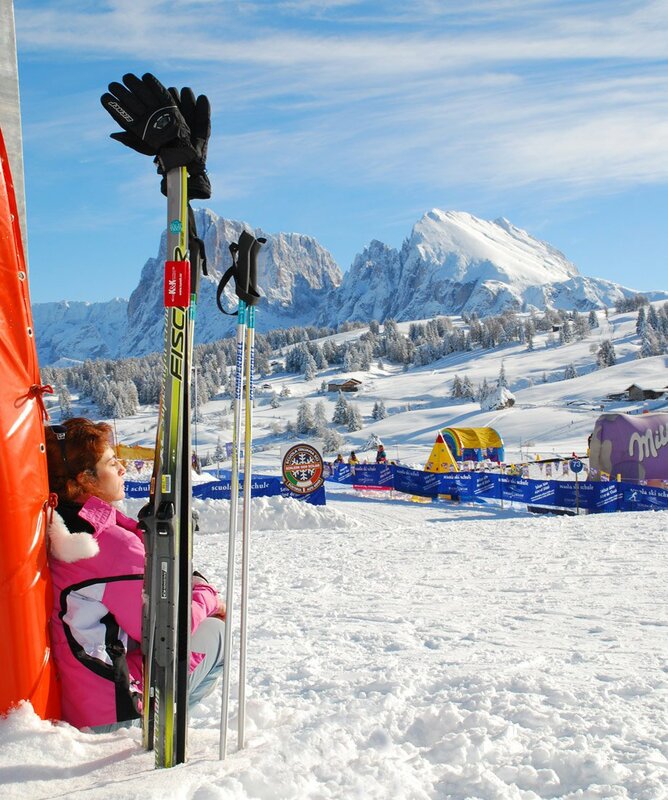 Plenty of leisure activities during your ski holiday with children in South Tyrol on the Alpe di Siusi guarantee great fun. 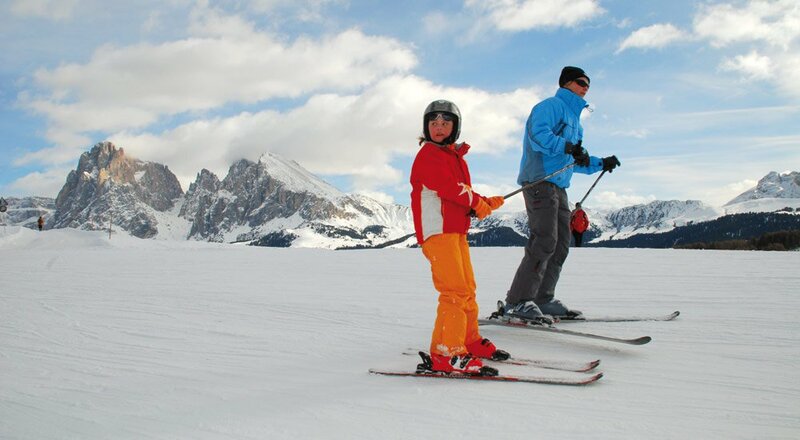 Together with your children you may participate in the “Witches’ Olympics” on the Alpe di Siusi and venture out on a treasure hunt in the snowy winter landscape during a “Witches’ Ski Tour”. At the Snow Park Alpe di Siusi, kids may participate in snowboard lessons and gain first experiences on the jump elements. The ski resort Val Garden – St. Christina offers another ski arena with 175 kilometres of slopes – it is only a short drive away from the farm Mesnerhof. Just like the Alpe di Siusi, also this winter sports arena is part of the world’s largest ski network: the Dolomiti Superski. As an alternative to skiing, toboggan runs and ice skating rinks await you in the area of the Alpe di Siusi.